When you do illegal activities to get top ranking on Google’s SERP, then you may face a Google’s penalty. Which can deindex your site completely or the affected pages. Manual penalties are given by Google workers who audit your site against their quality parameters and deem that you are violating at least one of them. Algorithmic penalties are given by the algorithms which regularly check all the websites for some predefined rules, and penalize you if you are against any one of them. It does not matter, whether you have a small site or large, Google doesn’t discriminate on the popularity of the sites, if it finds something suspicious then it can affect both small and large sites. One of the most effective ranking factors for many years is backlinks. We can say that the more backlinks a site has, the better it ranks. Most of the SEO experts started creating backlinks as soon as they learned about this. If the reviewer sees that your website has a large number of paid links/spam links/ unnatural links, you will be hit with this manual action. Although having a penalty is never a good thing, manual penalties are better than algorithmic. Once you fix the issue, you can apply for reconsideration immediately. If you really fixed the problem, the manual action will be lifted by the auditor. Google may hit you with a manual review for having thin content or duplicate content on your webpage. Thin or duplicate content consists of that information which is copied from any other site. If a manual reviewer finds that most of your content is derived from somewhere else, you can get hit with this penalty, and your traffic graph will take a dive. There are some following Algorithms which results in a penalty if found something illegal. The Panda is the well-known algorithm. It affects any website more than other algorithms. The first Panda algorithm was run in 2011 and it decreased the traffic of a lot of low-quality websites. The purpose of the Panda update is to keep low-quality content out from the top results on SERPs. Panda is an algorithmic penalty. This means, after solving the issue causing the hit, you have to wait for the algorithm to be run again to get your rankings and traffics back. While Panda focuses mainly on on-page factors, Penguin focuses on unnatural links or spam links to your website. Penguin was run in 2012 and affected over 3% of all queries. Link quality – In general, we can say that if a site contains natural links only, then it will have the links of both low and high quality. If it is made unnaturally then they are all of only low quality or only high authority links. Link growth – If you Look at the backlinks’ growth of any large site, then you will find that it gains links at an increased rate over time. Unnatural sites often get a lot of links in a short period. Link diversity – The legitimate site gets links from all sources (blogs, articles, blog comments, forums, etc.). However, bad SEOs often create links only from one source (like blog comments). Links should have varied anchor text. Too many links with the same anchor text may raise the issue. Penguin does not affect the whole site at once, it affects some specific pages. It affects those web pages that have the most unnatural backlinks pointing to them, but if those pages are responsible for most of your traffic then you will face serious problem for your business. Recovering from a Penguin penalty is possible but difficult. 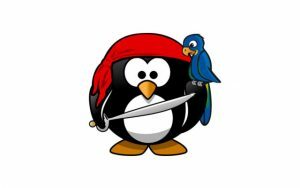 But recovering from Penguin is similar to Panda, it means, after solving the issue, you have to wait for the algorithm to be run again to get your rankings and traffics back. The algorithm works based on copyright issues. If a site has a considerable amount of copyright infringement, this algorithm will punish the website by bringing down its rankings. 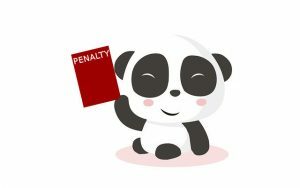 So, now you have understood that Penalties are part of every SEO’s life. Understanding the root causes of above-described punishments is the initial step to keeping them from happening and fixing them as soon as possible if you do get hit. 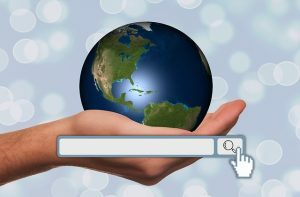 Read also our previous post https://www.seoliquido.com/on-page-off-page-search-engine-optimizations/ for more info about good SEO . If you found that you’ve been executing something that may get your site punished, stop it and correct it. Hopefully, you’ll get it in time to avoid a penalty. How Can You Convert A Normal Website into A SEO Friendly Site?